6 May - 10 May 2019. With the clear waters of Sunny Bay just 50m away, a choice of seawater pools and superb spa facilities, Hotel Aurora is the perfect location for active and restful holidays alike. It’s a modern hotel in every way, offering spacious single, double and deluxe suites – all equipped with air-conditioning, Wi-Fi access and satellite TV. With a breathtaking location overlooking the sparkling Adriatic Sea, the Hotel Punta is an oasis of relaxation and wellbeing. Guests have the choice of tranquil forest and stunning sea views in spacious double rooms or deluxe suites. Outside, the beautifully kept gardens are filled with aromatic herbs that are used extensively in the hotel’s restaurant.What really sets the Hotel Punta apart, however, are the unique Spa and Vitality facilities – encompassing indoor and outdoor pools, sundeck, wellness and beauty treatments, specially designed exercise programs, Les Mills group workouts, as well as nutritional counselling. With a fabulous year-round climate, the Hotel Punta is perfect for your next holiday, whether you’re looking for a relaxing escape or an invigorating getaway. EXTRA - 4hours use of tennis courts out of tennis coaching hours. Due to the ferry to Island Losinj, BEFORE you purchase your flight tickets, we kindly ask to check the time of arrival and departure of ferry HERE. Prices are per person in a standard room. Make the most of your tennis training with 20 hours of tennis coaching, choose it in our form. 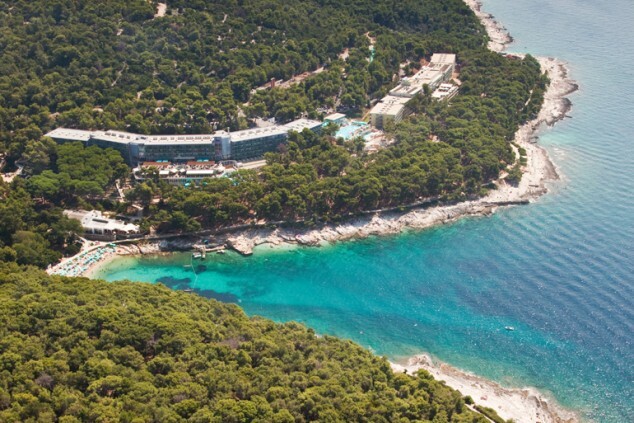 Thank you for sending us a request for a tennis holiday in Croatia.